The Eliza B. Nichols Scholarship is a annual scholarship given to a dental hygiene student at The Ohio State University and Columbus State Community College. To donate to the fund, please see our Links tab for the direct link for our Paypal account. 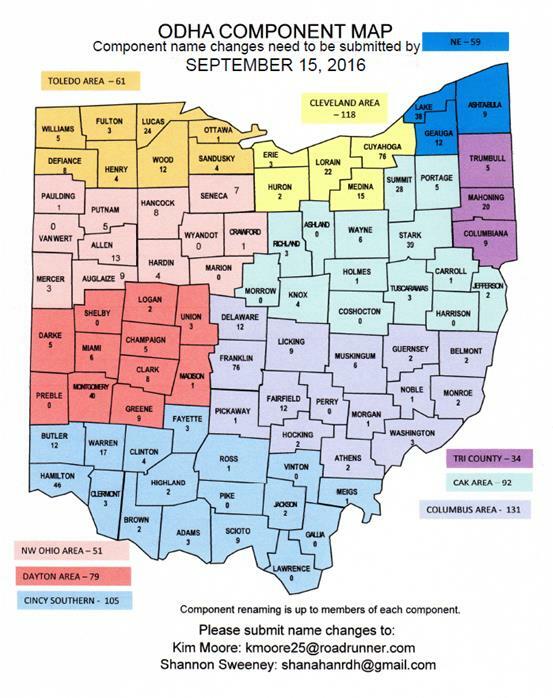 Here is the map voted on by the Board of Trustees for redistricting Ohio. For more info please check odha.net or email us. T-shirts will be sold for $20 at the Marketplace the Saturday of the 2016 ODHA Annual Session. Profits from sales will be used to fund our Delegates representing Ohio at ADHA Annual Session in Jacksonville this June 2017.